Stunning natural beauty and a welcoming smile greet's you on your Cruise to Hawaii. Prepare to fall in love with the colourful cultures and surrounding islands as you sail the oceans bound for Hawaii. Your Hawaii Cruise from Sydney, Brisbane or Auckland could pass through a number of pacific island destinations such as Bora Bora, Fiji and Tahiti, and onwards to Los Angeles or San Francisco (USA). 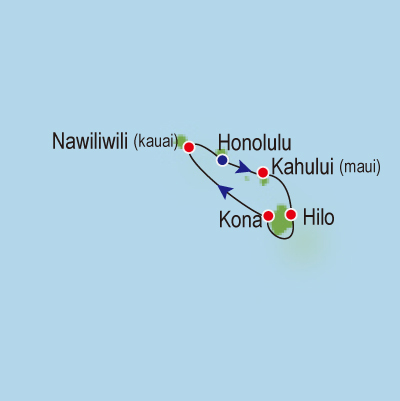 Other cruising options include smaller Hawaiian Island Cruises taking in a number of ports within Hawaii such as Maui and Kauai. Cruises to Hawaii depart from Sydney, Brisbane in Australia, and Auckland New Zealand. Other departure ports around the world are from Honolulu, Los Angeles, San Diego, San Francisco (USA), and Vancouver (Canada). The best Cruises to Hawaii from Australia travel through the South Pacific Islands including New Caledonia, Fiji and Bora Bora. 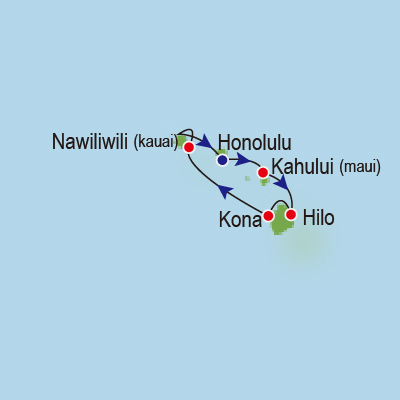 Norweigan Cruise Lines run a number of short cruises within the Hawaiian Islands. Climb "Diamond Head" to see a panoramic backdrop of Honolulu. Visit the historic Peal Harbour Visitor Centre. Shop to your hearts content at some of Honolulu's famous Shopping centres and Outlet malls. Seafood, Burgers, Ribs, Beers & Milkshakes. 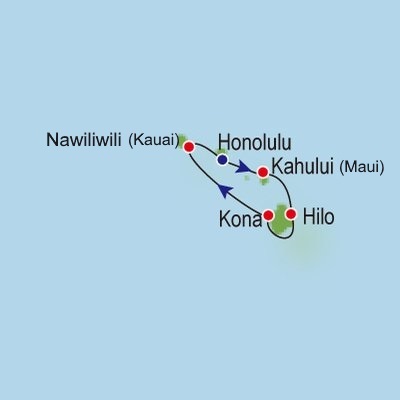 Our discounted Cruises in Hawaii are on sale at numerous times throughout the year. Make a booking enquiry now at no charge - even pay via Lay By!